Welcome to another edition of Penguins of The Week! 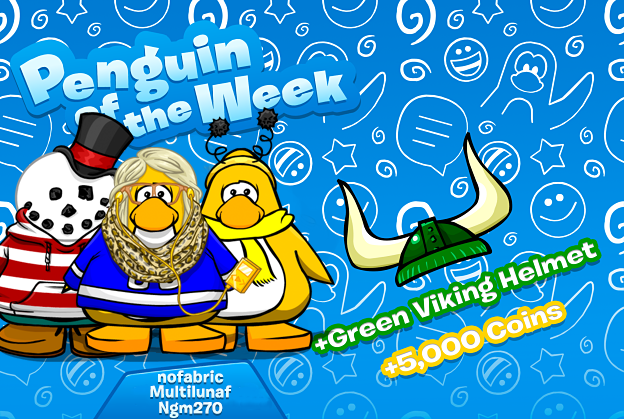 This week we'll be rewarding the users nofabric, Multilunaf and Ngm270. Congratulations! Welcome all to another edition of Penguins of The Week! 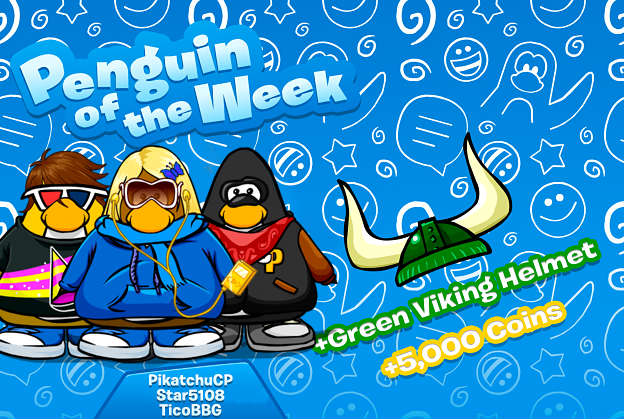 This week we'll be rewarding the users Star5108, PikatchuCP and TicoBBG. Congratulations! Tomorrow we will be hosting another #ModMeetup event. We have seen a lot of activity recently on the island after the release of Card Jitsu Water, so it will be nice to see you all show off your new Water Ninja suits before and after the meet up! (to prevent lag). If you would like to suggest anything then attending this MMU would give you the perfect opportunity to get your voice heard. The staff are looking forward to seeing you all again tomorrow! Welcome to another edition of Penguins of The Week! This week we'll be rewarding the users Soccerlover7, Anibal and Math1, congratulations! Tomorrow we'll be hosting another #ModMeetup event. Last week we witnessed one of the biggest MMU to ever be hosted, so big that we had to split the event on two servers. We plan on releasing Card Jitsu Water next week, a long with some other updates for the rest of January. If you would like to suggest anything then attending this MMU would give you the perfect opportunity to get your voice heard. The staff are looking forward to seeing you all again tomorrow! Welcome to the first Penguin of The Week of 2019! This will also be using our new format of picking three individuals for this award from our English, Spanish and Portuguese communities. 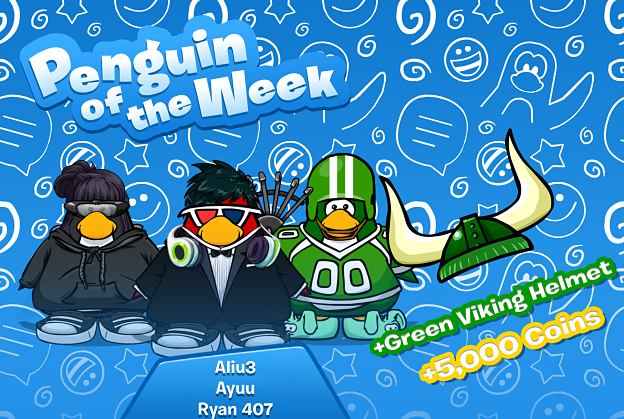 This week we'll be awarding the users Ryan 407, Aliu3 and Ayuu, congratulations! Tommorow marks Club Penguin Online's 1 Year Anniversary. Time has flown quickly, it only feels like yesterday that I was talking to Huey about making a Club Penguin Private Server exactly like Club Penguin. It's fair to say we had a very interesting year, with ups and downs, but nonetheless a very successful year. We have entered 2019 with over 1,500,000 registered users and we get an average of 2,500 active users per day, we are certainly during one of Club Penguin Online's golden ages. Not to mention the release of Card Jitsu Water this month! 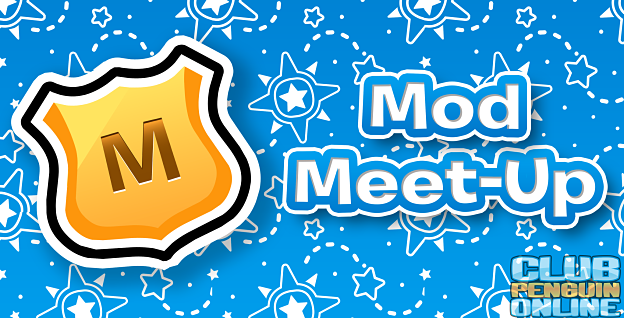 We're going all out this anniversary month, so make sure to attend this #ModMeetup. It will be the first one of this month and year, and it will also be during our Anniversary party. Make sure to wear any party hat you have during this meetup! Welcome to another edition of Penguin of The Week! We have decided to change the format of these rewards. From now on, we'll be picking two PoTW's every week to receive the same reward - one user from the English speaking community and the second user from the Spanish speaking community. Descriptions will now be quoted, so from now on you will be able to know which staff recommended that user. 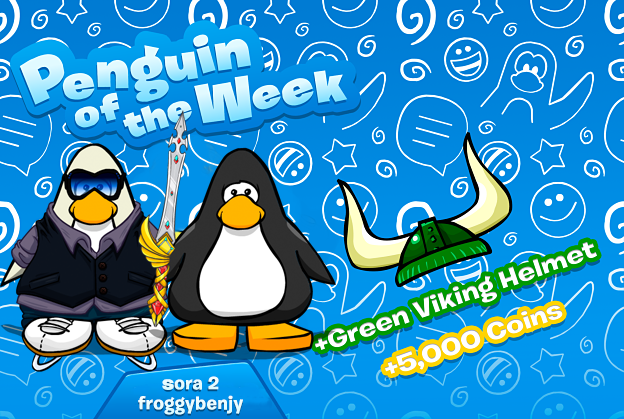 This week we'll be rewarding Carmarisx and froggybenjy, congratulations! 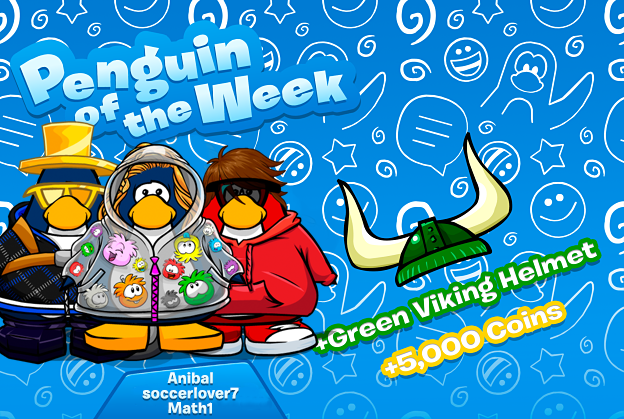 Welcome to another edition of Penguin of The Week! 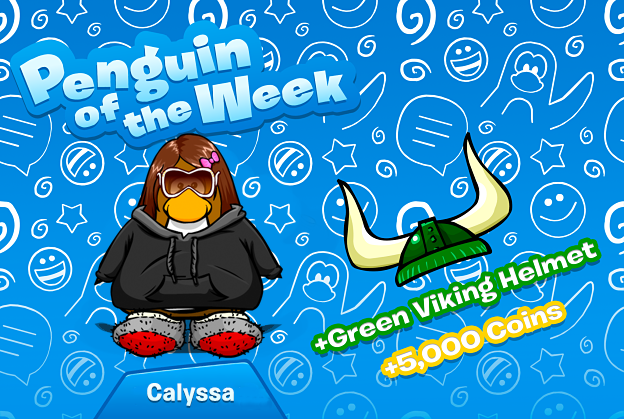 This week the awarding user is Calyssa. Calyssa is a friendly member in our community who goes around making others feel welcomed. Along with her welcoming personality, she is funny and easy to talk to. She is very active and helpful. She helps keep CPO safe by reporting any rule breakers to the staff team. Thanks for being such a great addition to our community, Calyssa! Tomorrow will have a lot of events happening in regards to Club Penguin Online and Club Penguin over all. Club Penguin Island will be shutting down, and later on we'll be releasing our Holiday Party. The shut down of Club Penguin Island will mean that Club Penguin Online will be one of the main servers continuing Club Penguin's legacy in 2019. We will want to hear what you guys would like to see us do in the future to improve Club Penguin Online and make it enjoyable for everyone and our new users. This Saturday we'll be hosting our #ModMeetup. This might be the last one for 2018, so make sure you're there! We may also be announcing the new moderator(s), however this is not confirmed yet.